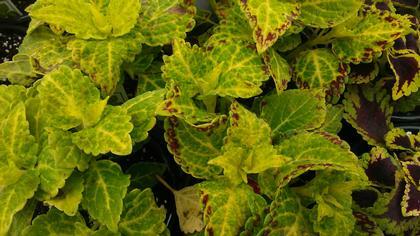 We were attracted to this lime green variety because of its bright yellow veins and wide margin of deep red. Leaves have a pleasing scalloped form. Medium height.